You may want to read the previous chapter on questions you should ask when hunting for a home here. There are several good practices you might want to consider before embarking on a house-hunting journey. For starters, always carry a notepad with you so that you can take notes of all the houses you tour or examine. Mark down unusual features, design elements, and other pluses or minuses of each house. Since most homebuyers visit at least 10 homes over an extended period of time, handwritten notes will help you remember things like loud neighbours, lake views, bus connections, and baseboard heaters. If nothing is written down, you run the risk of having all these bits of information blend and overlap in your mind. Another good idea is to bring a digital camera with you to take pictures of each house and its most important features. It is best to take a shot of the house number before each tour, so it will be clear which home—and which set of notes—the interior pictures correspond to. Make sure to ask the Listing Realtor® if it is all right if you take photos of the house. Most people hate to be negative, but it’s important to view homes with a critical eye, even if it feels like you are just nitpicking. For example, it’s easy to be charmed by houses with vast rooms – but despite the impressive dimensions of the living areas, is there enough storage space for the things that won’t be displayed? Make sure you have seen the list of questions to ask about the home in a previous chapter of our guide. When going on a showing (a.k.a. viewing or tour) with your Realtor®, try to schedule it so you can stay at the home long enough to really let the house sink in to your consciousness. That means leaving enough time between showings that you don’t have to rush off to the next house after a quick tour of the one you’re in. Since you already took the time to get there, and the sellers probably made the effort to clear out for your visit, you want to make the best use of the opportunity to examine everything carefully and in detail, even if it takes a bit more time. Who knows - maybe you’ll really like the home and won’t want to leave! When touring homes with your Realtor®, take only one car if you can. That way, you’ll get to the destination together, nobody will get lost or stuck in traffic, and you can use the time in the car to talk real estate and compare notes. Your agent will have a chance to tell you about the house you are about to see, and you will have a chance to tell your agent what you think of the homes you have already seen. Your feedback will help your agent get a true feel of your needs, wants and desires so they can show you homes that are even closer to your ideal. If you are planning to see a lot of houses in one day, set some time aside for breaks between houses. You might need to grab a bite or have a coffee to get your bearings, and you will inevitably need to use the bathroom. And though it may seem convenient, you really don’t want to use the bathroom in the homes you visit. If a family is still living there, they would not particularly appreciate strangers using their bathrooms, and newly constructed houses may not have functioning plumbing yet. Wear shoes which are easy to slip on and take off. Some houses will have signs specifically requesting that you remove your shoes, but it’s good etiquette in just about every case anyway. 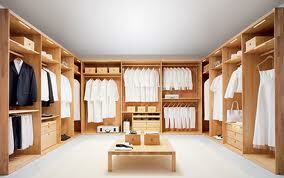 Once in the house, don’t hesitate to look in drawers, cupboards and closets to get as complete a picture as possible. People sometimes miss whole rooms and large storage areas by not opening a door or two. If you are excited about the place, you should also open kitchen and bathroom drawers, cupboards and cabinets. You are not being nosy – in this case, seeing is believing! The sellers do expect prospective buyers to poke around. On the other hand, if you dislike the house from the start, just wrap up your visit and move on to the next one. There is no use closely scrutinizing a place you don’t feel comfortable in…unless you’re doing it for practice! Don’t trash-talk the house you’re currently viewing. The seller may still be in the house, or may find out about your negative comments in some other way, and it’s just not worth it. Instead, talk to your agent when you are in private. To your agent, you can and should be absolutely honest, so that she or he can learn your preferences. Share with your agent all criticism and every concern you have, no matter how minor, so that they know which houses to avoid showing you in future. As soon as you step out of a house you’ve just toured, think of a rating for the house and jot it into your notepad for future reference. People often judge things differently on-site than they do when thinking about them calmly in private. A ‘hot’ rating will help you compare your initial emotional reaction with the ‘cold’, more rational reaction you will likely have to the home once you’ve had more time to think about it. Once you have toured a few homes, you’ll have a sense of what you like and what you don’t. Narrow your choices down to the top three or so, and view them again. Look at them with a more critical eye this time, and ask your Realtor® to keep you informed of any serious interest or offers on the property. Now that you know more about the intricacies of home selection, learn what specific home categories are waiting for you out there and what they have to offer.Now that you know about house tours, see how to negotiate for a good price on your chosen property.